Move the turtle to a SAFE PLACE far away from people and noise. Turtles should always be picked up the shell, and never by the fins or the head. If the turtle is large and requires two people to move it, one should take hold of the shell just behind the turtle's neck and the other at the part of the shell close to the tail. Handle the turtle carefully and gently, being careful that their fins do not fold, bend or twist backwards or underneath the body. Make sure that the turtle is in a safe and restricted area, away from wind and drafts. The temperature in the area where the turtle is kept should not fall below 15°C. It isn't necessary for the turtle to be kept in water. However, when the turtle has a head injury or is exhausted, it SHOULD NOT BE KEPT IN WATER AT ALL because it may choke or drown. 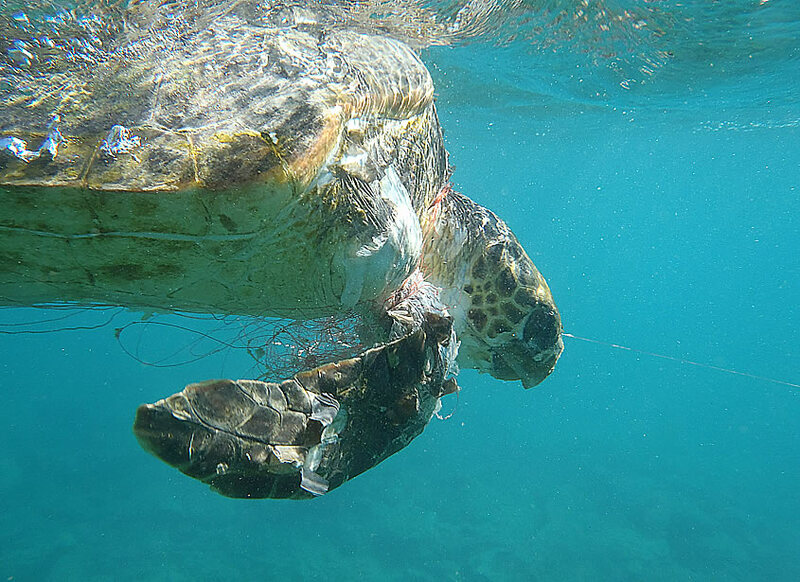 If the turtle is tangled up in a net or lines, they should be carefully removed. UNDER NO CIRCUMSTANCES SHOULD AN ATTEMPT BE MADE TO PULL OUT A HOOK OR LINE PROTRUDING FROM THE MOUTH OR TAIL. ARCHELON will send you a Turtle Incident Report form which should be carefully filled out and returned to us by email: rescue@archelon.gr. This information will not only help this particular turtle, but all the other turtles as well. NOTE: All turtles should be handled carefully. It is possible that a turtle may appear to be dead, but in fact is simply in a state of hibernation, especially during the cold months. If the turtle is dead, it should be brought onto the land, and both the local Coast Guard (see the inventory of Coastal Guard stations) and ARCHELON -Rescue Network at +30 210 8944444 or +30 6941511511 should be notified. A local veterinary official should be called in to certify the death and the cause of death. If there is none in the area, notify an available local veterinarian or the Coast Guard. If the dead turtle was tagged, the tag should be removed and sent to ARCHELON, Solomou 57, 104 32 ATHENS, tel: +30 210 5231342. It would also greatly help ARCHELON if a photo of the dead turtle, including its injury, was taken and sent to rescue@archelon.gr. ARCHELON will send you a Turtle Incident Report form, which should be filled out and returned to us by email or post. Notify local authorities so that the turtle will be properly and legally buried. Contact ARCHELON at tel: +30 210 8982600 or +30 6932640949 or email: education@archelon.gr, in order to receive the necessary instructions on how to help. If there are available photos please let us know and then send them to the above e-mail. 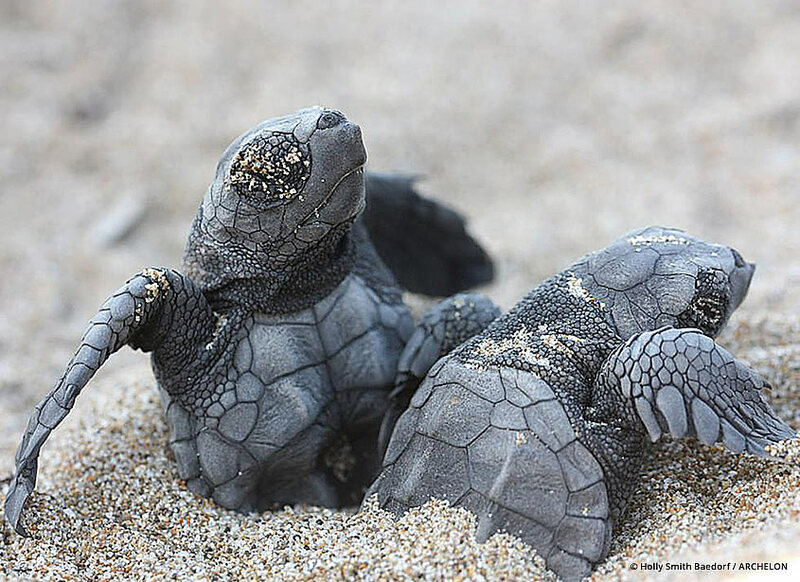 Remember, any information is extremely valuable to ARCHELON and especially for the protection of sea turtles!